Yesterday, the heat wave in Los Angeles finally came to an end, which was just in time for my debut with GlamAmor at the Santa Monica Flea Market. 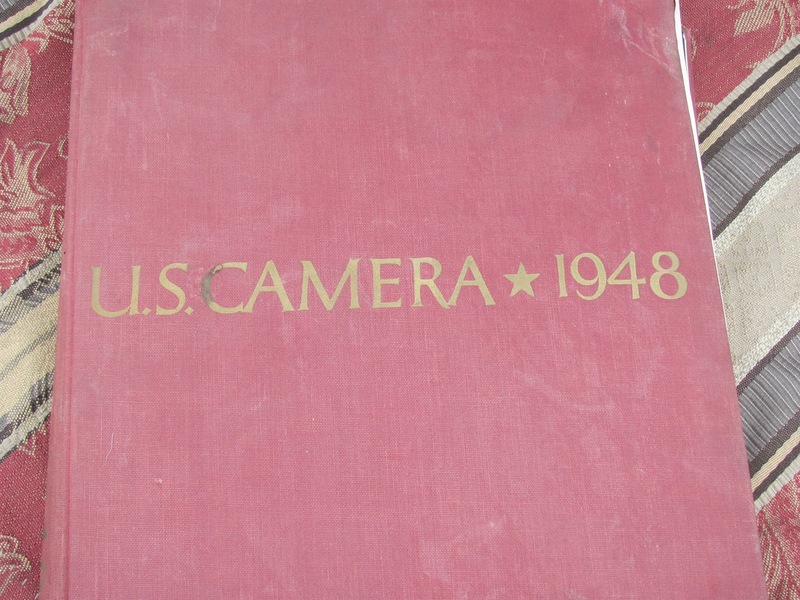 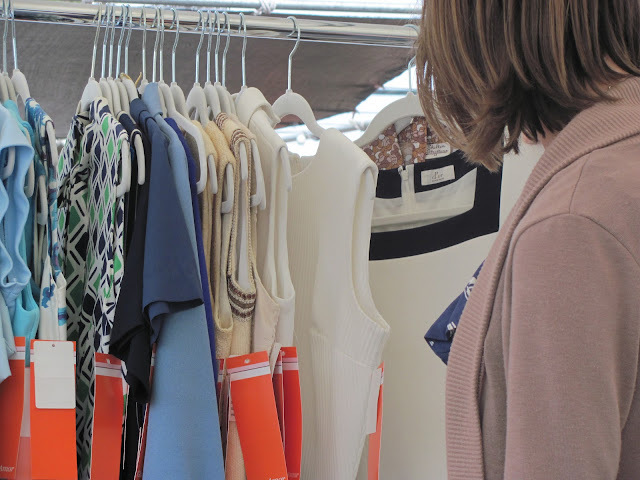 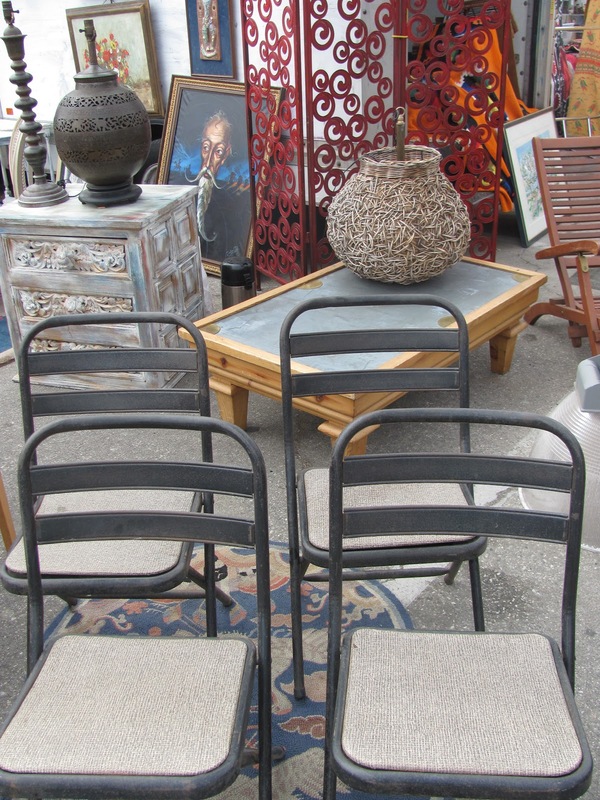 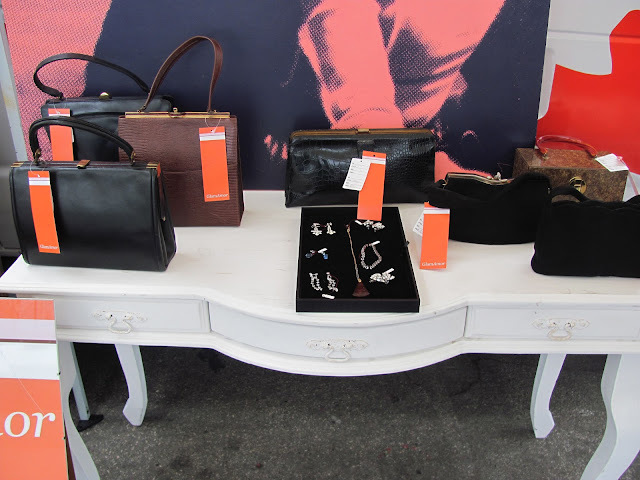 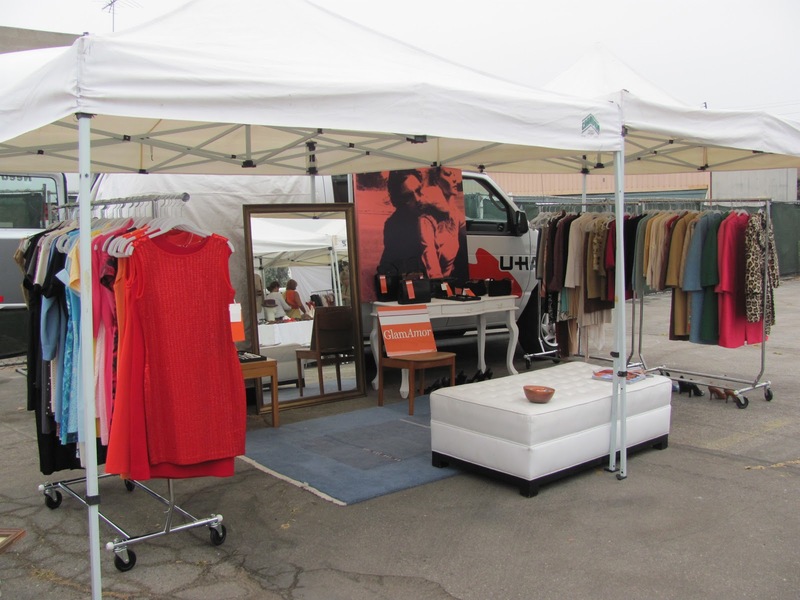 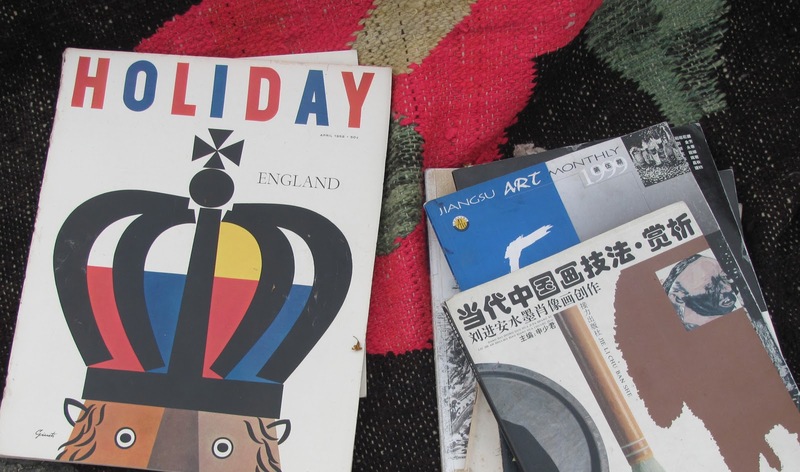 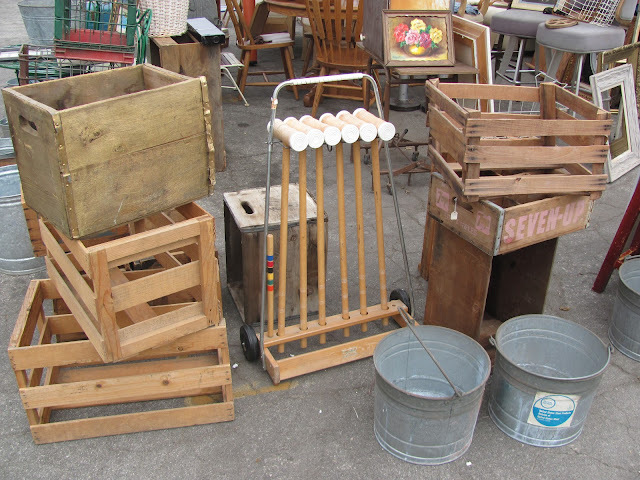 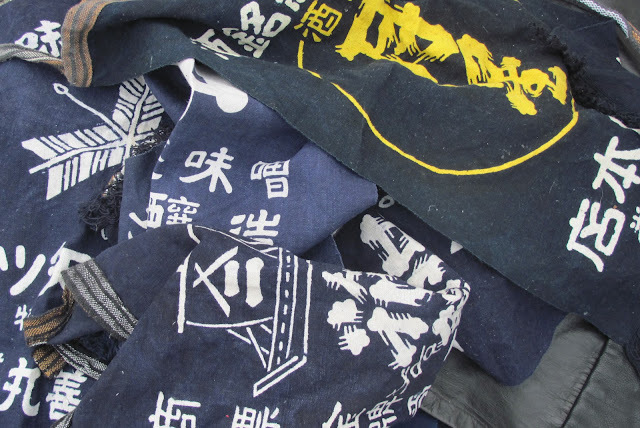 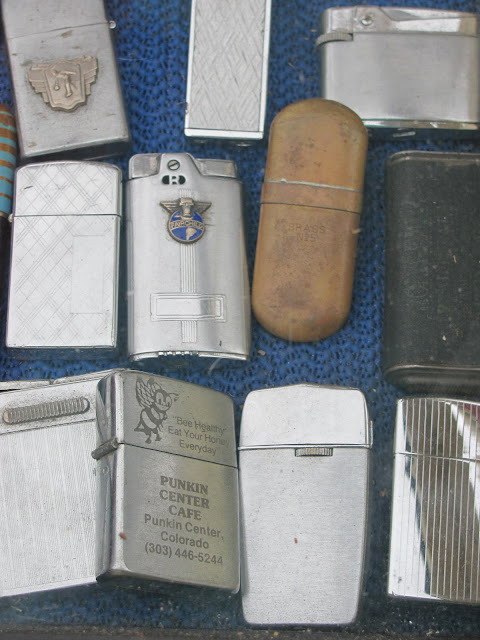 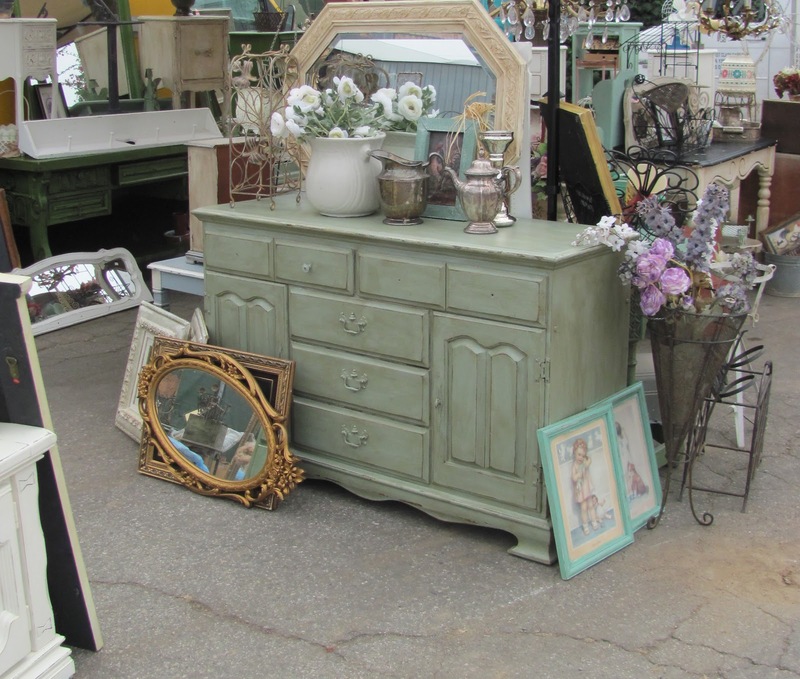 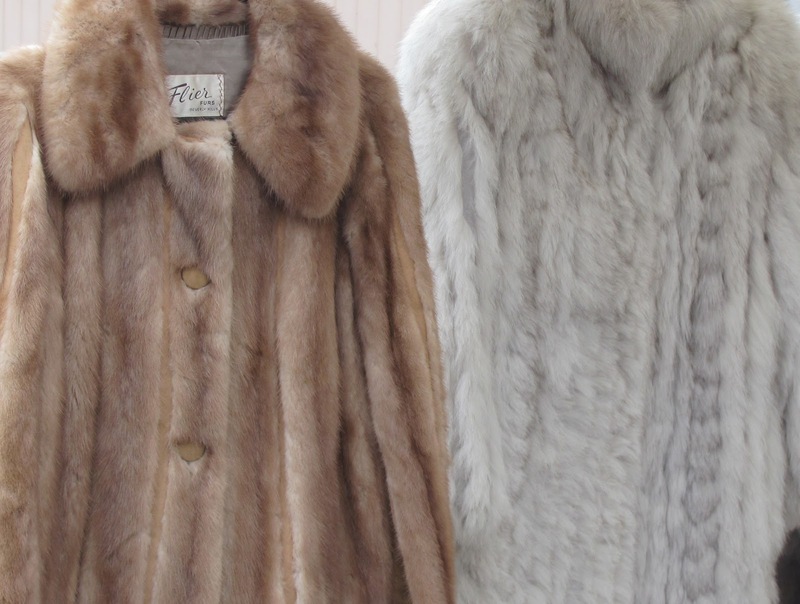 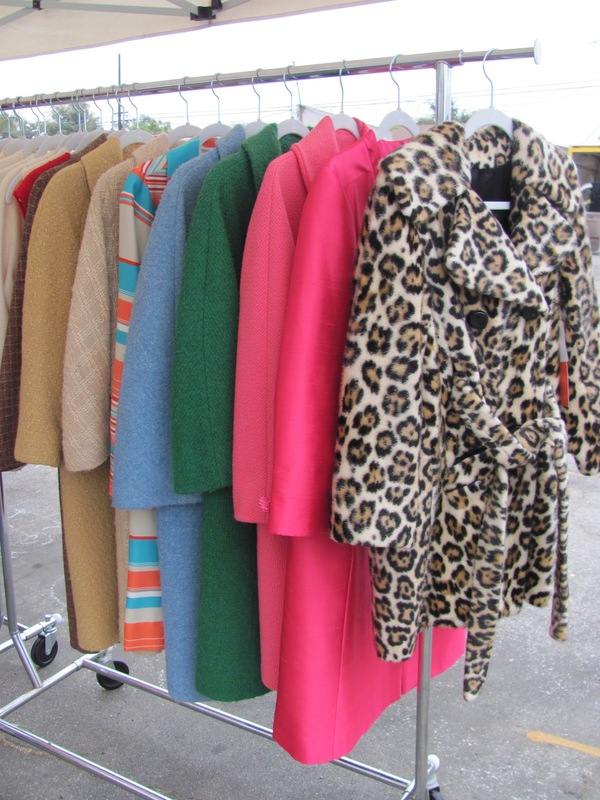 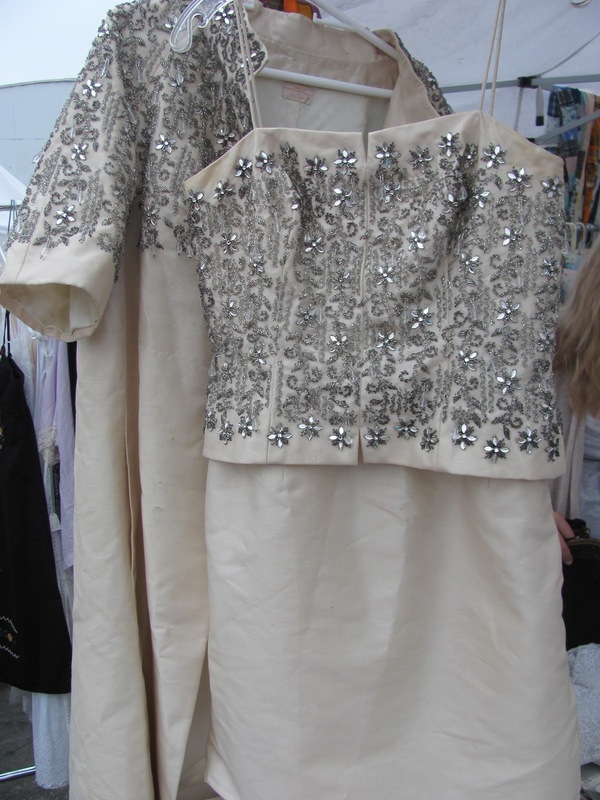 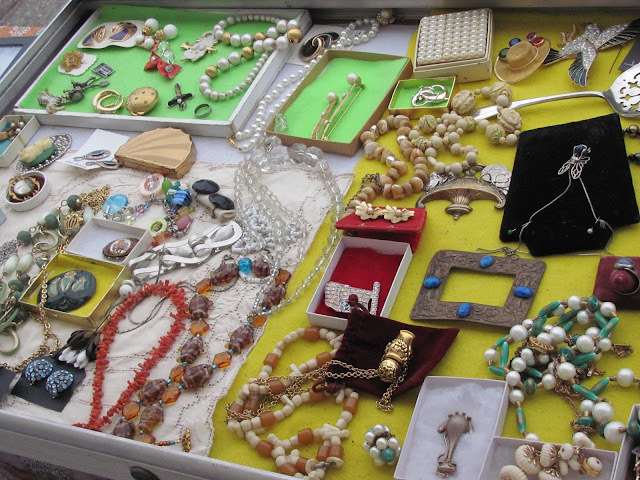 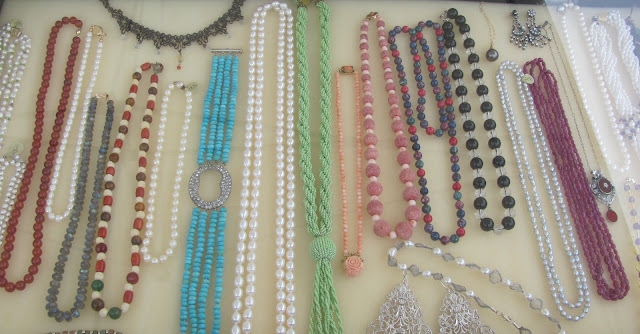 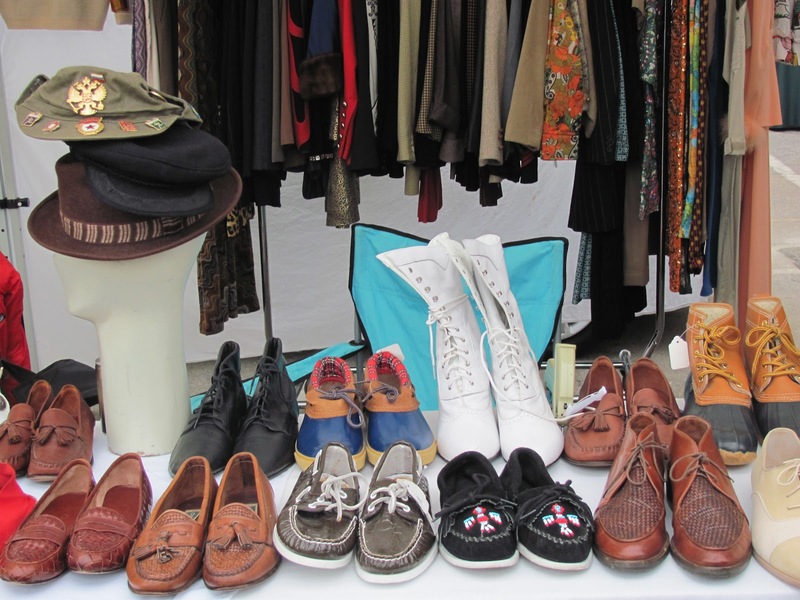 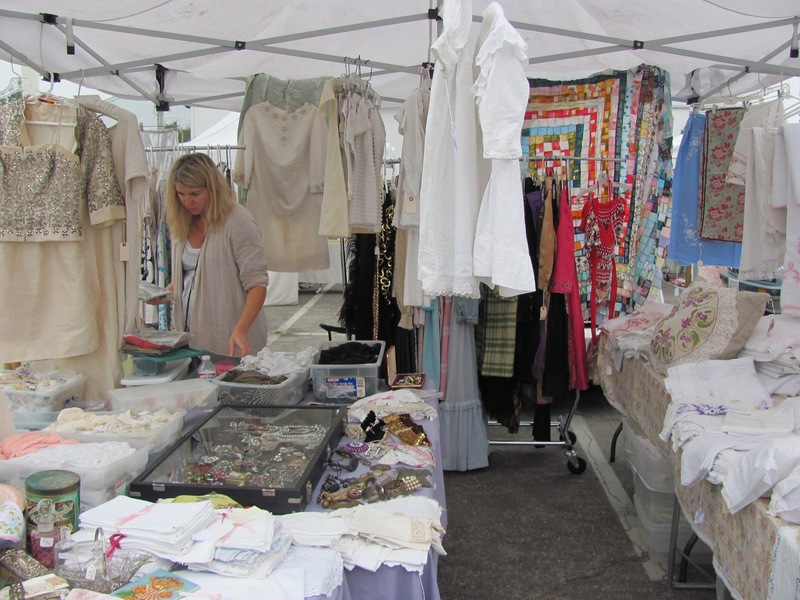 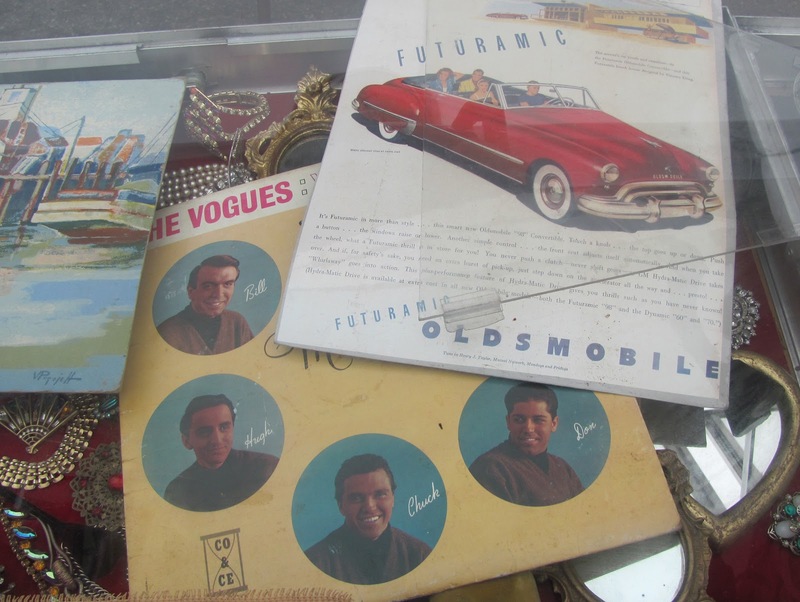 The show has been around for some time and is known as one of the best flea markets out there. 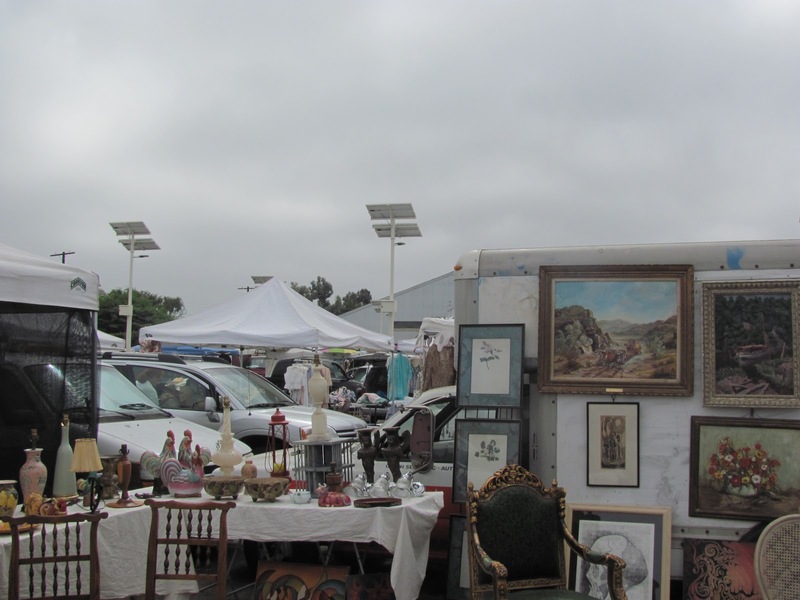 It's small enough to not overwhelm you as a shopper, but it also carries a wide range of items so it's got something for everyone and is a real feast for the senses. 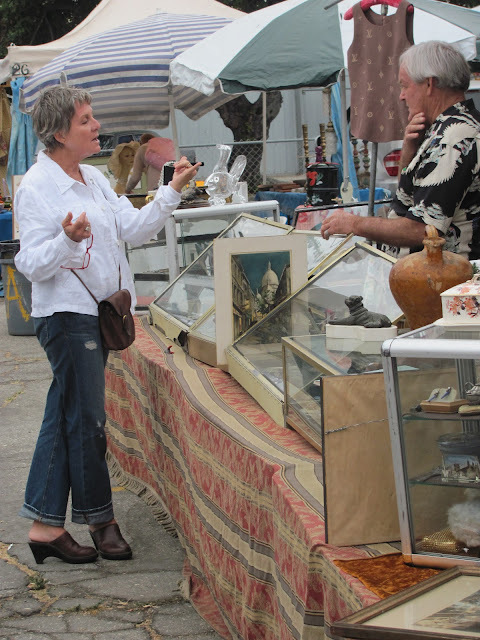 Historically it's been held every fourth Sunday of the month, but due to its immense popularity the market is now open on the first Sundays as well. 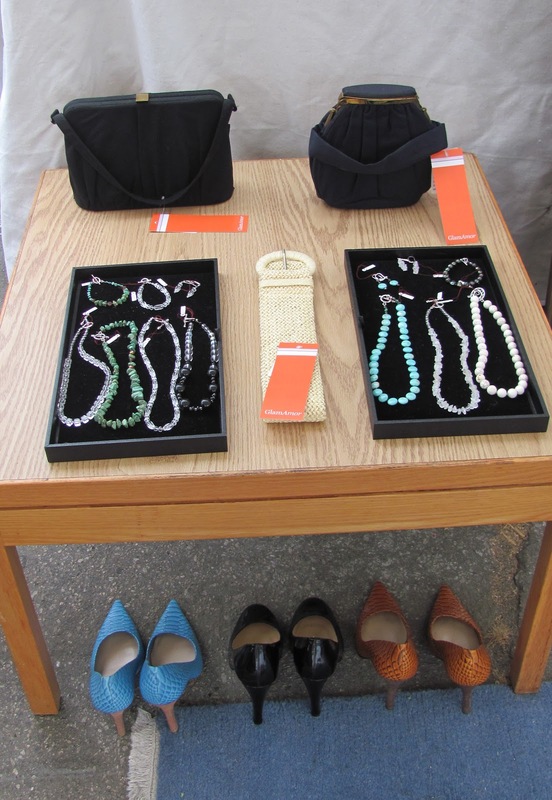 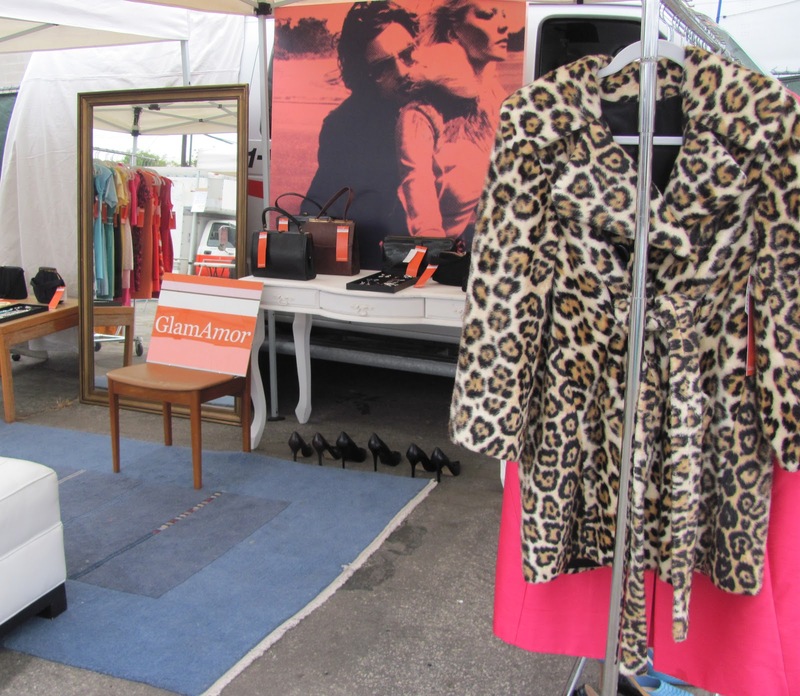 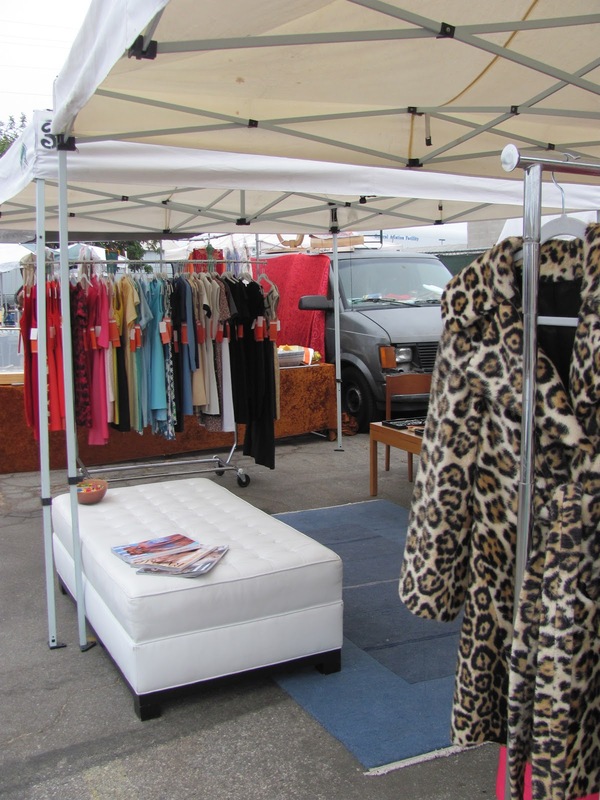 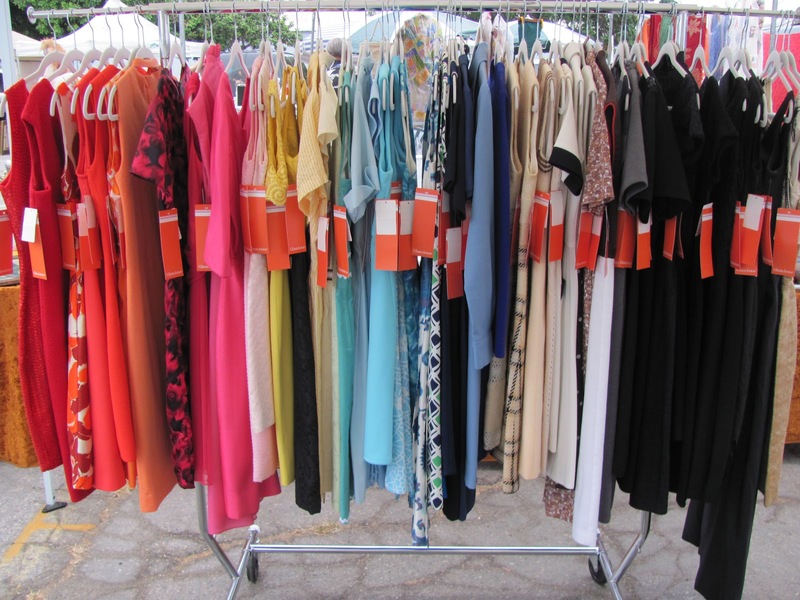 Welcome to the GlamAmor booth at the Santa Monica Flea Market! 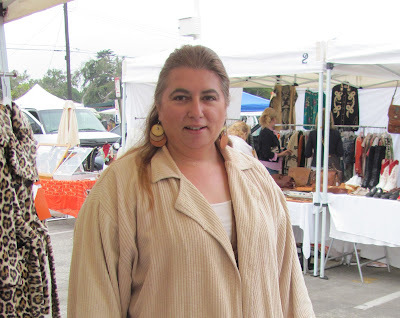 Bringing a little color to a cloudy day: 1960s green turquoise minidress, 1960s turquoise and gold chandelier earrings, ivory headband, ivory silk and cashmere cardigan (not shown), gold leather Colin Stuart flip flops. OPI's That's Berry Daring polish on toes. 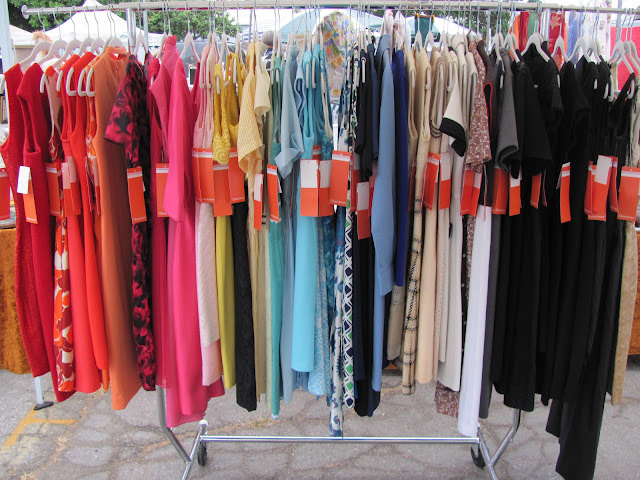 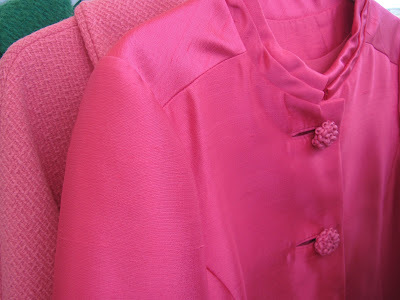 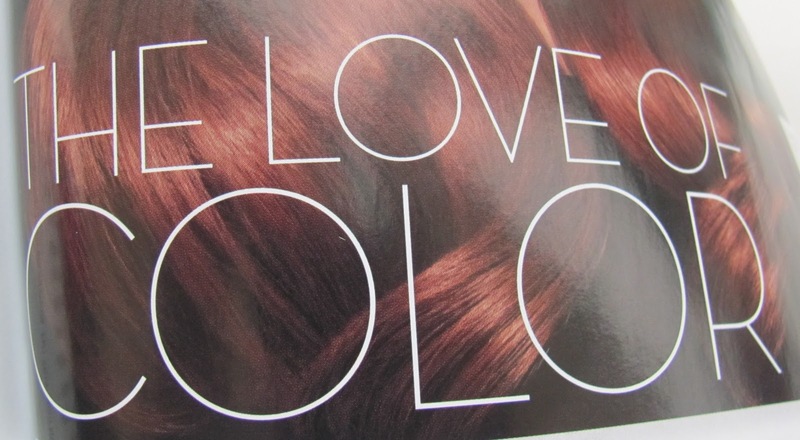 ...and more decisions when trying to choose their favorite GlamAmor dress. 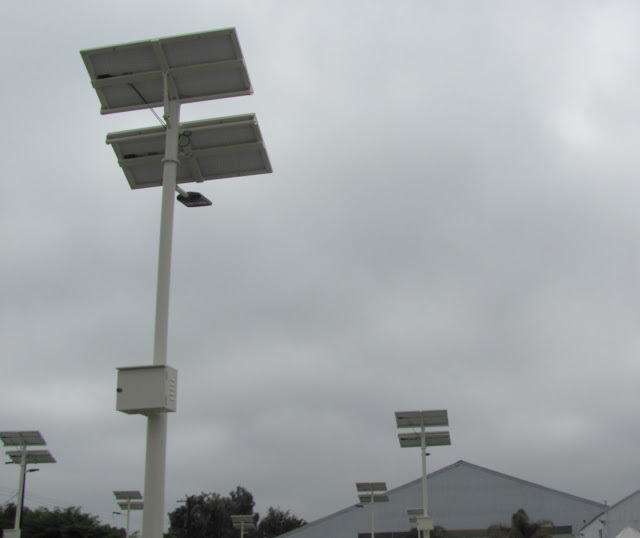 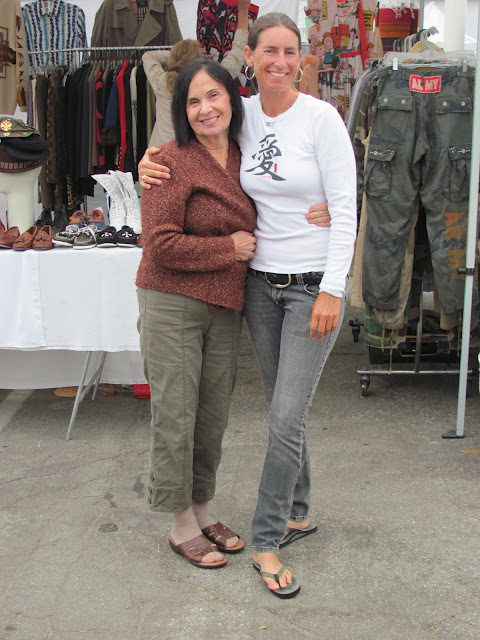 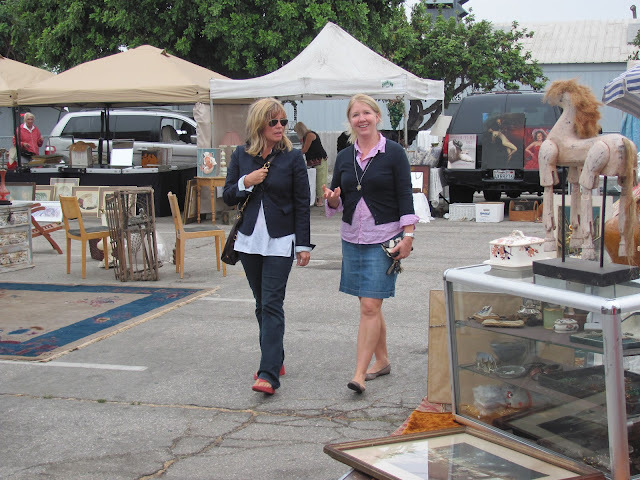 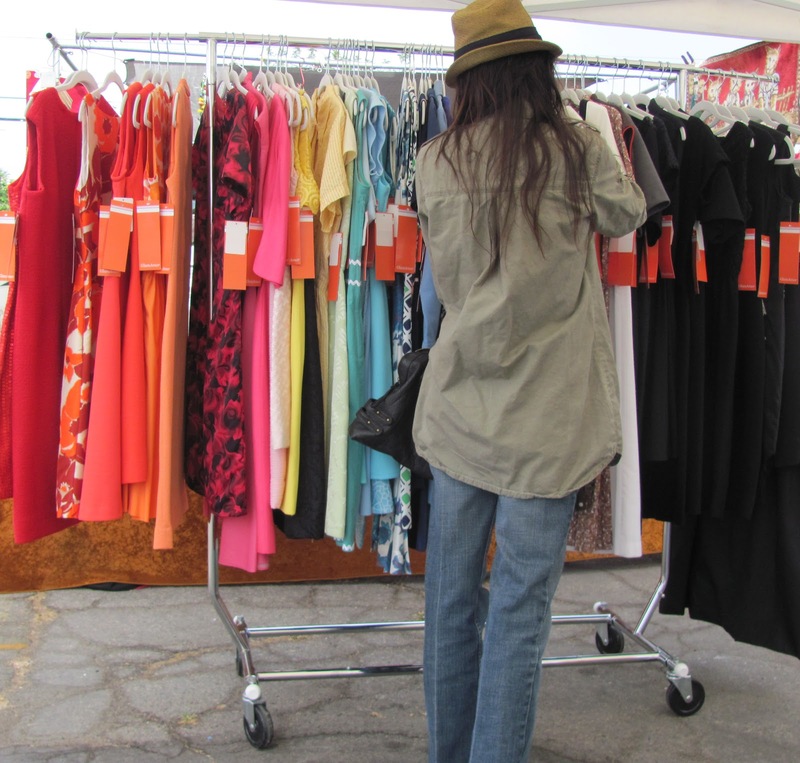 The Santa Monica Flea Market was another success and a great experience. 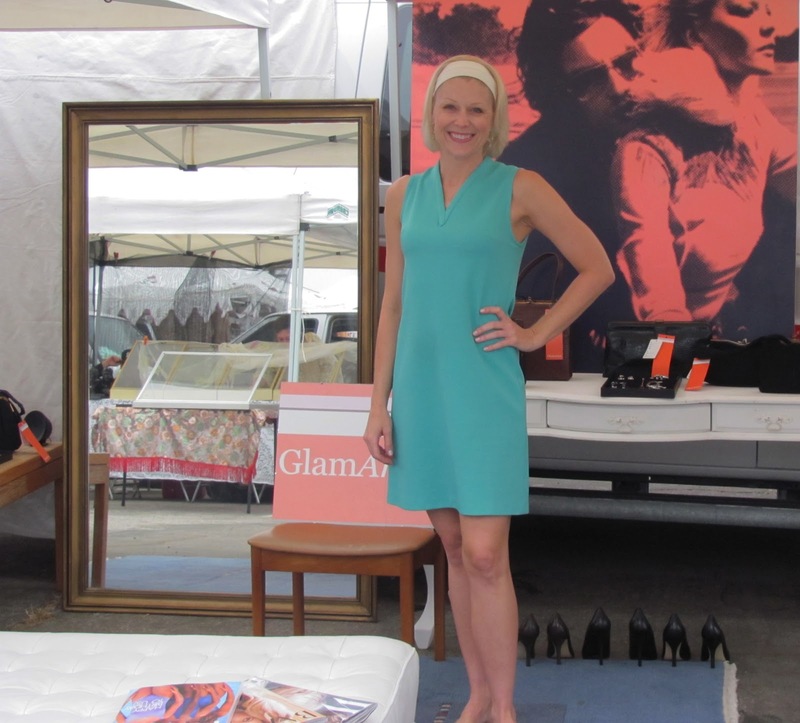 A big thanks to everyone who supported me and GlamAmor!